In 2018, the secondary real estate rose more than buildings. The price of homes on the secondary real estate went up. So, in mid-December, “secondary” sold for about 26 700 UAH per sq. 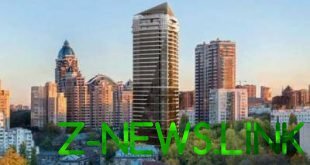 m. – and in January, the sellers have asked 27 300 UAH per sq. m.
In February the price decreased and the spring again has risen – and today a square meter of secondary housing costs about 27 000 UAH. In dollars, the cost of “secondary” gradually increased during the season. Prices started from $ 950. per sq m at the beginning of the winter, and has grown to $ 1,000. sqm now. Annual statistics on the following: in 2018, the secondary real estate rose by more than new buildings – about 9.5% (in UAH). The growth of prices in dollars, as always, less significant, about 6%.